Q. I get an "unsafe" error message when I try to access our library catalog. What should I do? 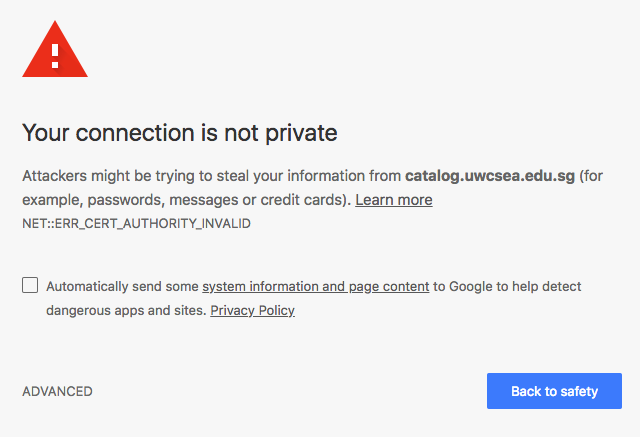 Click on the link "Proceed to catalog.uwcsea.edu.sg (unsafe)" You will notice that the URL window looks like the picture below. Do not be concerned - you can still log in and access Destiny to locate books and other resources.